The Christmas season can be stressful. From budgeting to buying; from meal planning to decorating, there is a limited amount of time and a ton of things to get done. The key to getting it all done without losing your mind is to get organized. What if there was a way to plan it all out and get it all done without any of the stress? Conquer the Chaos does just that. It is your roadmap through the holiday season containing printables and advice to keep you organized and on track. It will help you power through your tasks and gain precious time back that you can spend with family and friends. The printables are formatted to fit in a standard 3-ring binder so you can have everything together and organized in one place. A place to record your family traditions and plan new ones. Budget tracker to help you keep a detailed log of the money you have available and the purchases you have made. Learn the technique that will automatically save you money each week. You'll be organized for the holidays in no time with this fabulous collection of useful printables. Kelly has just what you need for everything on your to-do list, including calendars, budget lists, places to write gift ideas, printable tags, and much more. What a great way to get organized instead of overwhelmed! 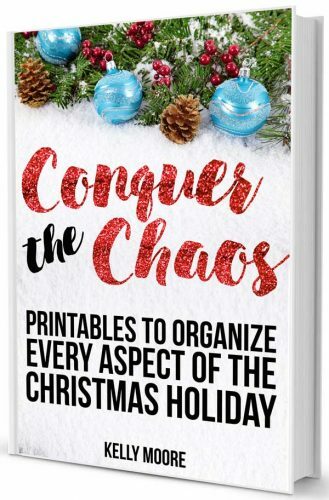 Kelly's ebook is the perfect way to get organized for Christmas. It takes the guesswork out of making your Christmas Planner. From calendars to budget lists, she explains how she likes to use each piece to keep track of everything. If you're wondering where to even start so the holidays run smoothly, this is it! WILL I RECEIVE A PHYSICAL COPY OF THE BOOK? NO. THE BOOK WILL BE DELIVERED TO YOU VIA EMAIL AFTER YOUR PAYMENT IS PROCESSED. HOW DO I ACCESS THE PRINTABLES? THE ENTIRE BOOK, INCLUDING THE PRINTABLES IS IN A PDF FORMAT. JUST NAVIGATE TO THE PAGE YOU WANT AND PRINT THAT PAGE. THE PRINTABLES ARE ALSO INCLUDED IN AN APPENDIX FOR EASY ACCESS. CAN I PRINT THINGS OUT MULTIPLE TIMES? YES. YOU MAY PRINT THE FILES OUT AS MANY TIMES AS YOU LIKE. CAN I SELL THE PRINTABLES OR OFFER THEM TO MY FRIENDS FOR FREE? NO. THE PRINTABLES ARE FOR PERSONAL USE ONLY. YOU MAY NOT SELL OR REDISTRIBUTE THEM. 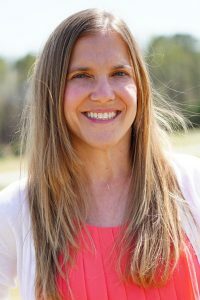 Kelly is a mom of two living in coastal North Carolina. She loves the beach, sipping on a cool glass of lemonade, and her morning coffee. When she is not busy with her graphic design or blog businesses, you can find her training for her next long distance run. She is a die-hard Baltimore Ravens fan.